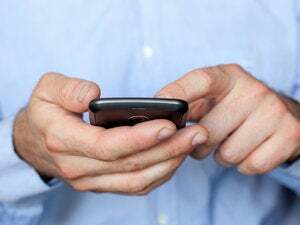 Spain and Portugal look set to remove mobile phone roaming charges between the two countries in a move that would boost the European Commission's aim to get rid of roaming charges altogether. Preliminary talks have already been held between Portuguese Prime Minister Jos&#233; S&#243;crates and his Spanish counterpart, Jos&#233; Luis Rodr&#237;guez Zapatero. The deal is expected to be formalized at the next bilateral summit in Elvas, Portugal, from Dec. 8 to 16. While this is great news for consumers, the abolition of roaming charges could also be a bonus for telecom operators. With up to 3.5 million people crossing the Spanish-Portuguese border every year, it is thought that increased mobile phone use could more than make up for the loss of the extra tariff. The deal would apply to data transfers as well as voice calls. Spain's ambassador in Lisbon, Alberto Navarro, said that the abolition of roaming would give new impetus to the communications between the two countries. Meanwhile the European Commission is also likely to welcome the deal as it wants to create a single European telecom market. The E.U. 's current roaming rules expire in July 2012, and new proposals will be announced next year for the period after 2012. It is thought that the Commission will recommend a complete abolition of roaming charges by 2015. Digital Agenda Commissioner Neelie Kroes has gone on the record as saying that substantially different service charges cannot be justified in a true single market. International phone operators, such as Orange and Vodafone, which both have subsidiaries in Spain and Portugal, have yet to comment on how any deal would affect them.